Our accredited trainers can travel throughout the country to deliver in-company training on site or at a location of your choice. This gives organisations the opportunity to access a cost effective, flexible training solution. Below, you will find details on training work we have carried out on-site for varied organisations. Alternatively, please feel free to contact us to discuss your needs. 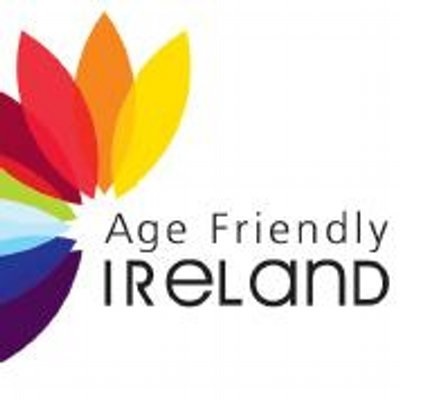 In March 2015, OHAC was engaged by Age Friendly Ireland and Cavan County Council to develop and deliver a Universal Accessibility and Universal Design Training Programme for staff working in Local Authorities. The aim of the training was to create an awareness of the needs of older people and people with disabilities and the importance of Universal Design to meet their needs. The course explored Housing; Transportation; Planning and Planning Development; Service Delivery and Inclusive Information. The training was attended by Planners; Community & Enterprise Personnel and staff from the Housing Department. In October 2013, OHAC was engaged by a national transport provider to develop and deliver a Disability Awareness Train the Trainer programme. As part of our services OHAC liaised with the Access Officer and training team to develop the programme and agree the required content for the course. Developed all of the course content for the 'Train the Trainers' workshops and seminars. Delivered a number of training sessions to the qualified trainers within the national transport provider. Developed a training pack and handouts to assist the national transport provider's trainers deliver the Disability Awareness Training in their region/area. Provided additional information, support and advice when required by the national transport provider. In December 2012, and as part of Irelands hosting of the Presidency of the Council of European Union, OHAC was engaged by Dublin Castle to design and deliver a Disability, equality and awareness training course for front of house staff. As part of the presidency numerous events, conferences, meetings and gathering will take place at a number of locations including Farmleigh House, The Botanic Gardens, Dublin Castle and Castletown House. OHAC provided training to the front of house staff on key issues such as why accessibility is important, how to organise accessible events and how to communicate and assist customers with disabilities effectively. In December 2010, OHAC was engaged by the Department of Environment, Heritage and Local Government to design a training course on the Building Regulations Part M 2010 (Access and Use) and develop a training manual. We also delivered the training course in June 2011 on the Building Regulations Part M 2010 to staff working in the Department, national Building Control Officers, national Fire Officers and staff from An Bord Pleanala to name a few. O’Herlihy Access Consultancy (OHAC) has been engaged by ESB’s Equality and Diversity Office since 2010 and has provided disability and equality training to over 220 staff within ESB and ESBi. The course is tailored to suit the needs of ESB staff and is updated on a regular basis. O’Herlihy Access Consultancy (OHAC) was engaged by Roscommon County Council in 2011 to deliver disability awareness training to staff at various locations throughout the county. OHAC liaised with Roscommon County Council’s Human Resources Officer, Training Officer and Access Officer and tailored a training programme to meet the needs of the organisation. The training was delivered over a number of months to all staff members. O’Herlihy Access Consultancy (OHAC) has worked closely with the Training Department and the Access Officer in Mayo County Council between 2008 and 2010 to deliver a suite of tailored courses which covered disability and equality awareness, access to the external and built environment, access to customer services and an introduction to public sector accessibility and accessible service delivery. Some of the staff trained included area engineers, librarians, administrative officers, and staff from customer services, roads and maintenance, human resources and the Fire Office. In 2011, O’Herlihy Access Consultancy (OHAC) assisted Aviva in the preparation of the organisation’s e-learning module on disability and equality training. OHAC assisted in the preparation of the materials for the module and assisted Aviva in the preparation of the accessibility awareness e-learning script. Some of the topics covered in the module include why accessibility is important, barriers faced by people with disabilities, access to customer services and access to information and communication technology. In 2011, O’Herlihy Access Consultancy (OHAC) prepared, designed and delivered a course entitled Improving Access to the Built Environment to the Galway – Access for All Group. This group is a network of individuals and organisations working towards making Galway City fully accessible to all people. Their members include individual disability activists and a number of disability organisations. As part of the training, OHAC provided advice to the group on how they could liaise with key stakeholders in Galway to influence change and make Galway City and County accessible to all. In March 2012, O’Herlihy Access Consultancy (OHAC) was engaged by Henry J Lyons Architects to deliver a CPD session to a team of architects which covered topics including why architects should consider accessibility, accessibility legislation, access to the external and built environment, the implications of Part M 2010 and the Disability Access Certificate application process.